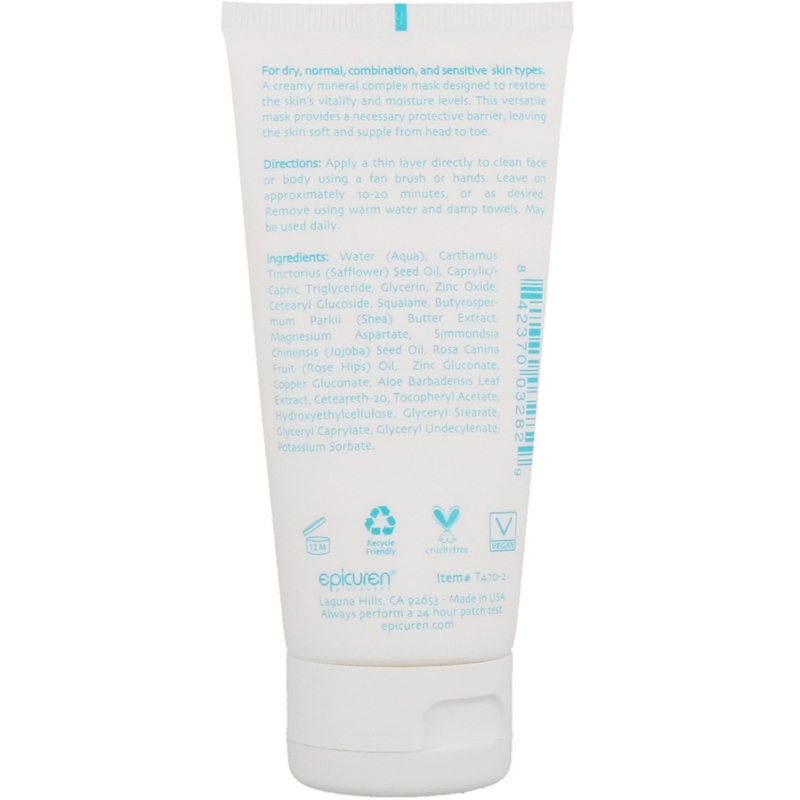 For dry, normal, combination, and sensitive skin types. A creamy mineral complex mask designed to restore the skin's vitality and moisture levels. 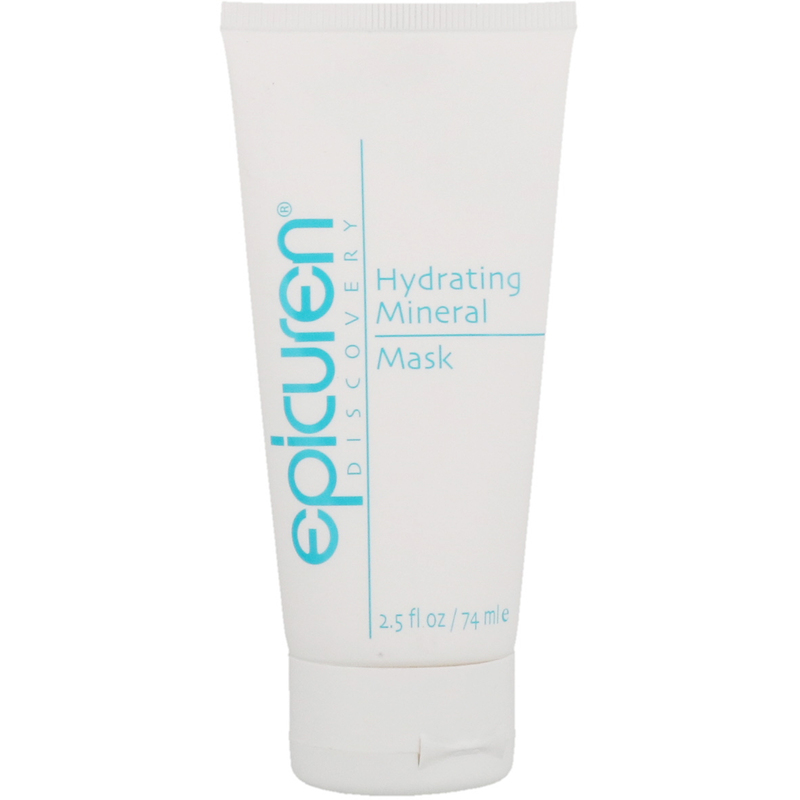 This versatile mask provides a necessary protective barrier, leaving the skin soft and supple from head to toe. Apply a thin layer directly to clean face or body using a fan brush or hands. Leave on approximately 10-20 minutes, or as desired. Remove using warm water and damp towels. May be used daily. Water (aqua), carthamus tinctorius (safflower) seed oil, caprylic/capric triglyceride, glycerin, zinc oxide, cetearyl glucoside, squalane, butyrospermum parkii (shea) butter extract, magnesium aspartate, simmondsia chinensis (jojoba) seed oil, rosa canina fruit (rose hips) oil, zinc gluconate, copper gluconate, aloe barbadensis leaf extract, ceteareth-20, tocopheryl acetate, hydroxyethylcellulose, glyceryl stearate, glyceryl caprylate, glyceryl undecylenate, potassium sorbate.